Demand for all network services is growing quickly. By 2023, worldwide monthly mobile data traffic is expected to grow at a 39% compound annual growth rate (CAGR) to reach 107 exabytes, according to the Ericsson Mobility Report. The telecommunications industry is changing, and keeping up with new demand for services requires providers to continuously grow their networks. 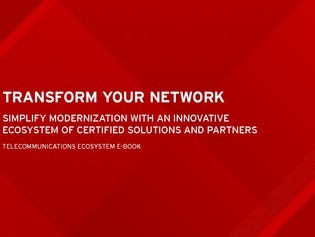 Download this e-book to learn how Red Hat can help you modernize your network by bringing together industry leading partners and trusted open source communities to deliver innovative, validated, integrated systems to the telecommunications industry.